The Ankle Holster by Stoner Holsters is the lowest profile ankle holster on the market. 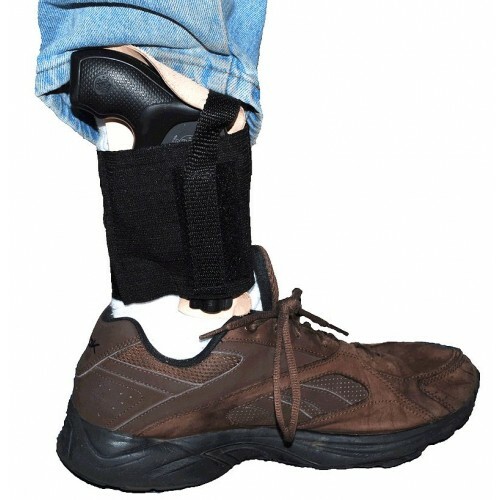 Using breathable elastic for tension, this ankle holster can hold almost any sized semi-auto or revolver. 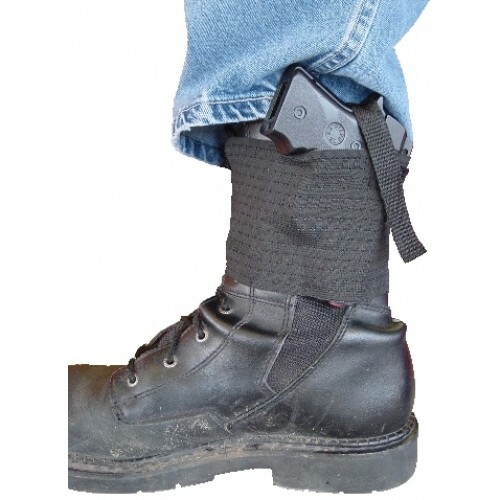 The unique design of the Ankle Holster has 2 pockets sewn right into the elastic, eliminating the need for additional material to secure the firearm. This creates a very concealable and secure way to carry your weapon. Try our new leather body shield. 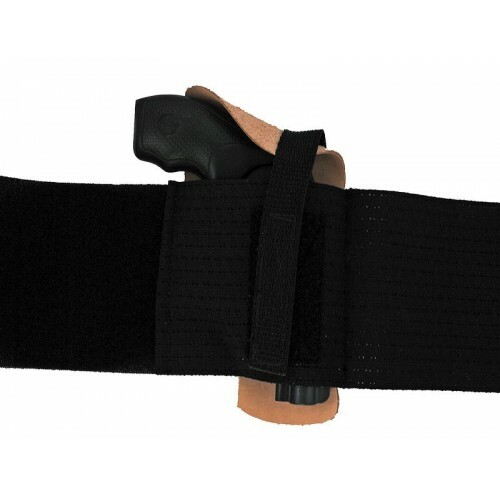 This removable leather body shield is to be worn with your ankle holster. The insert has been designed to provide comfort between you and your weapon. It slides into the larger pocket of the holster and will help to protect you from any protruding or rough points on your gun as well as keep some sweat and oil from getting on your weapon.